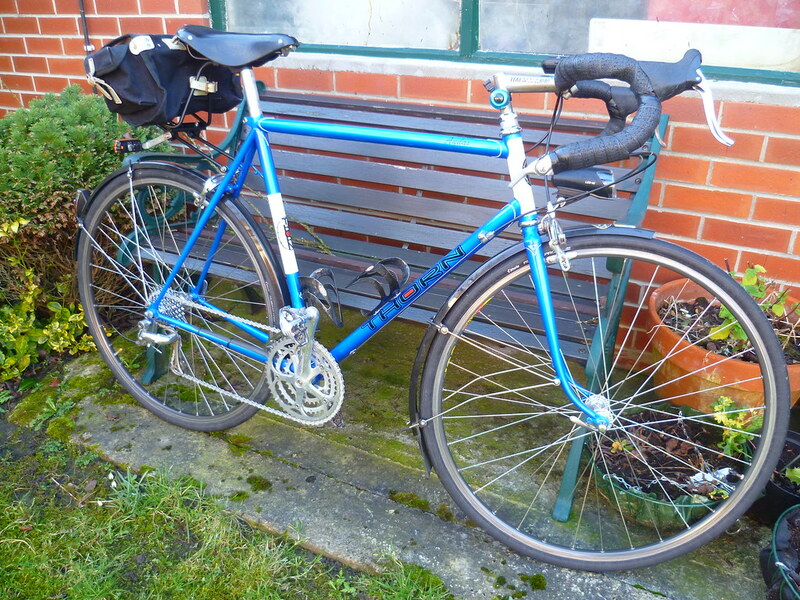 Finally finished the Audax. It might be a while before I get the Tandem completed but as my stoker is currently hobbling about on crutches I don't suppose that will matter. Thanks to both Joe B for photos and to Leftpoole for re-posting some of Joe B's photos. 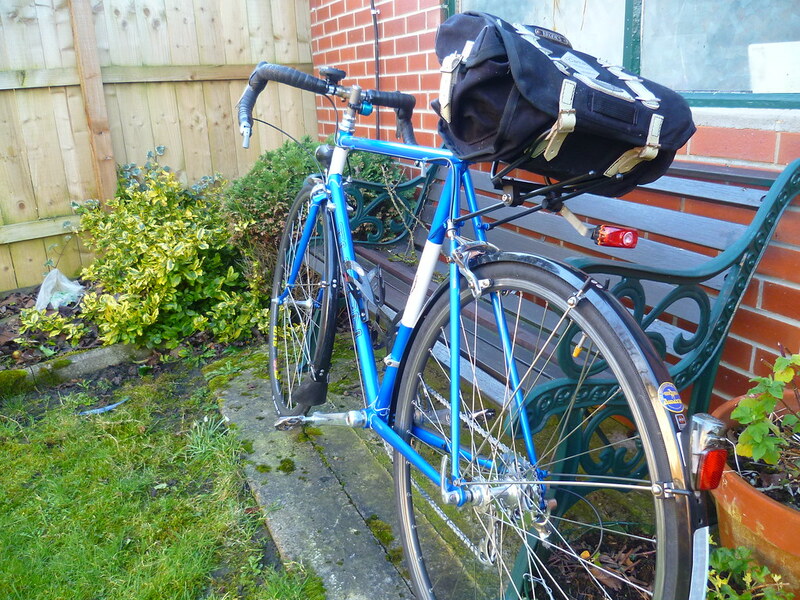 I had not seen that saddle bag support on the Audax before. It looks like a standard Carradice support, but with some extra reinforcement from some spare rack stays. I might have to try to think harder about making something like that. I had some plans for a winter project to make a support modeled after one I saw on a bike in Iceland two years ago, but now I have to do some re-thinking. I think those racks or stays only are available from Carradice. it's a carradice expedition rack ok for barley saddlebag but any thing bigger better off with a proper rack . I do not mean to diverge too much from the topic of the two beautiful bikes here, but I mentioned that I saw a bag support in Iceland, attached a photo. But I was thinking making a support that is closer to horizontal by using two clamps on the seatpost instead of using the rack mounts on the frame seatstays. I have a Nelson Longflap and a Pendle bag. The Pendle does not really need a support, I have just hung it from a couple spring loops on my Conquest saddle that has no loops but is a sprung saddle. I have commented before that I planned to use a sheet of Coroplast as a stiffener if I could ever find a source. And I found that a store called Home Depot in USA sells Coroplast, so I bought a big sheet of it for several projects, including as a stiffener in each of my Carradice saddle bags. Hello Joe . . . Superb bike and photos . 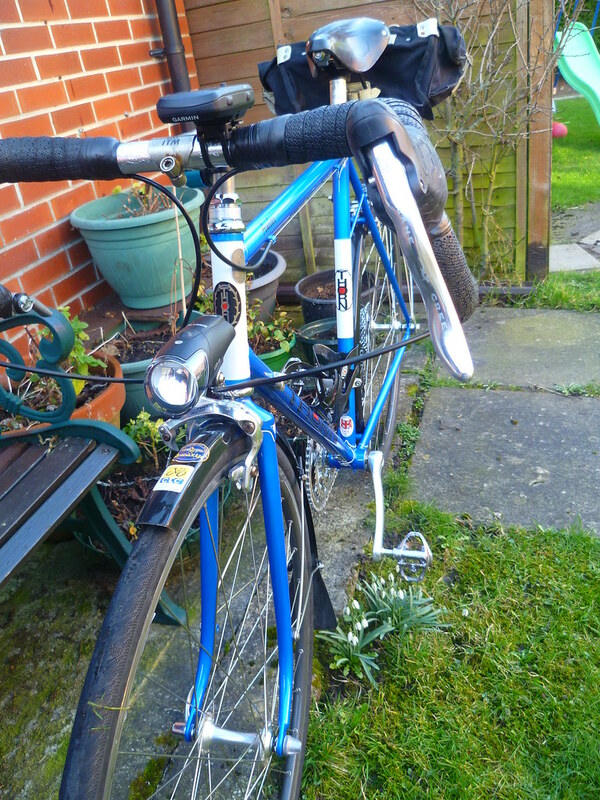 . . Could you clarify what light bracket that is, mounted I think on the front brake bolt? On my Audax, there seems v little room between the brake caliper arm and the lower bearing race, but I am keen to make space on my bars and put the light there. .
You have to file or slightly bend to avoid the lower bearing race. Thanks John, will consider what to do . . . The other way is to place the bracket between the caliper and the fat washer. Any of these methods works well when in use. I have done some bending on a light bracket like that. They are quite robust and large tools that give good leverage are best. I'm away from home at the moment so can't check but it is a B&M light/bracket, I think I just used a spacer to get it fitted correctly. Mick, having looked on the sjs website the bag support and the stays are available as seperate items. I bought mine as a single unit, don't know whether it's still available in thaf way anymore though. A tip: You can use Tubus forward rack supports and drawbolts/brackets (stayholders) to make nice supports for Carradice bag racks (Bagman, etc). I have done so and they work well, being available in a variety of sizes.